If anything, this has certainly been an interesting week when it comes to superhero trivia. For example, not only have we learned nifty things such as Batman & Robin director Joel Schumacher wishing he’d gotten the opportunity to direct a movie focused squarely on Arkham Asylum, but we’re also about to look back at a forgotten attempt to bring The Flash to the small screen. By now, the current series’ reputation most certainly precedes it and many of you are no doubt aware of the show that featured John Wesley Shipp as the lead, which aired nearly three decades ago. But what you may not have heard about was when the now defunct WB network tried to bring the Scarlet Speedster to television back in 2003. 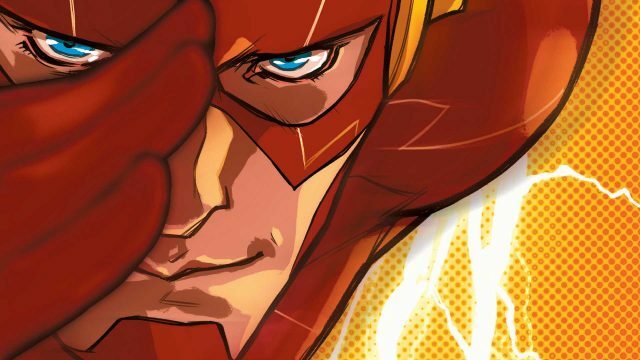 At that time, Smallville was still in its infancy and, while it’s fairly well known that those working in WB’s TV division were so close to bringing an Aquaman spinoff to fruition – and later Justice League, believe it or not – there were other DC properties they had their eye on, namely The Flash. In fact, Daily Variety broke the story the very same day Christian Bale was announced as having been cast as Batman. While it’s fun to ponder what could have been – also because time travel would’ve been a core element – it’s for the best this never took off because we would’ve never seen Smallville’s version of The Flash (Bart Allen), who was the first major DC hero to guest star on that series. Furthermore, the dominoes leading to the Arrowverse as we know it today likely wouldn’t have fallen, either.